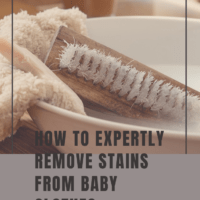 You can try all you want to prevent it, but nothing can stop your baby from staining her clothes. Life happens, and right along with it come spills and leaks. But that doesn’t mean you are forced to dress your baby in stained garments or even throw those clothes away. A little knowledge about stains can help you do a spot-on job when you need a spot off. Different types of stains need different treatments. 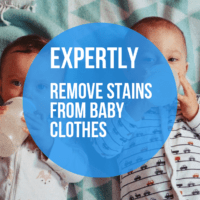 So keep these tips in mind and you’ll be expertly removing stains from baby clothes in no time! These kinds of stains are made by most foods, breastmilk, formula, and bodily fluids (like the all-too-unpleasant poop and spit-up). To get them out of your baby’s clothes, you just need to use a little science. An enzyme cleaner with protease or amylase will work wonders because enzymes dissolve proteins. Some detergents have enzyme cleaners in them, like Wisk or Era Plus. Just use a soft-bristled brush to gently scrub the stain away. If it persists, give it a dose of an all-purpose stain remover, like Shout and then wash on regular cycle with a normal load of laundry. Shout stain wipes are perfect for messy toddlers on the go. They won’t leave a residue behind like paper towels or tissues. You can instantly deal with stains when travelling and make stain removal a lot easier. This makes them well worth the space in my diaper bag. The other great thing about Shout Wipes is they can deal with oil stains on white wool. Hooray for science! The only downside of your wee one eating and drinking his fruits and vegetables are the stains that will soon decorate his clothing. Don’t despair. Just make a vinegar solution using 1 part white vinegar and 2 parts water. Apply it with an eye dropper, if possible, or use a teaspoon and drip it directly onto the spot. Let it sit for 10 minutes before applying a combination solvent. Then it’s good to go in for a wash.
You’ll wind up with stains like these thanks to baby oils and creams. A fresh oil stain can be battled with cornstarch or talcum powder. Sprinkle it on and let it absorb the oil. Scrape it off after about 20 minutes, and then apply a pre-treater before tossing it in with your family’s next load. You know these kinds of stains, don’t you? 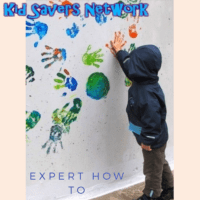 They pop up mysteriously after you’ve stored away clean baby clothes your child has outgrown, surprising you as you get them ready for your next baby, or to give to a friend or family member. How did they get there? Well, we could talk about that, or we could get busy getting those gross stains out! For this chore, you’ll need OxiClean. Put 2 scoops of it and a small amount of your usual laundry detergent in hot water and soak the stained items overnight. When you go to run the wash, add white vinegar to the fabric softener compartment. Pouring white vinegar into one of those fabric softener balls can also help with stubborn stains. It’ll be released automatically during the rinse cycle, leaving you with one less thing to remember. That should take care of things, but in the event it doesn’t, treat any remaining spots with spot remover and rewash. If you can, hang it outside and let the sun’s powerful rays take care of the rest. Unroll the onesie where the stain is (if you followed the steps above), and wash as much of it off as you can with cold running water and ivory soap. Squeeze out the excess water. Lay the onesie down and apply some type of stain stick to the soiled area. 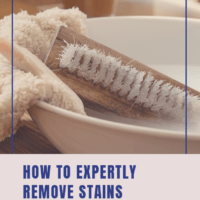 If you just don’t have time to wash it or found it after the stained part has dried, try simply applying the stain stick and washing it—usually that does the trick for me without having to pre-wash. Personally, the stain stick brand “Spray N’ Wash” has worked very well for me. Because it’s not a gel-type, it’s also less messy. 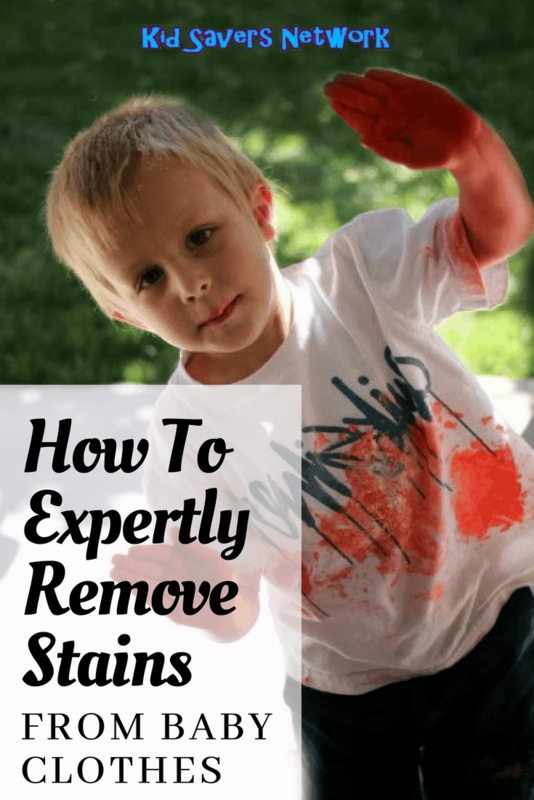 It has worked for my kids’ stains almost every time. To save yourself some money and trouble, buy solid white onesies. That way, if they become stained, you can always just bleach the heck out of them and they’ll be as good as new. Now that you’ve got a handle on handling stains, you can go enjoy some precious time with your special stain-maker…until laundry day rolls around again!